Price : about IDR 130k (around USD13), i kinda forgot the exact price. 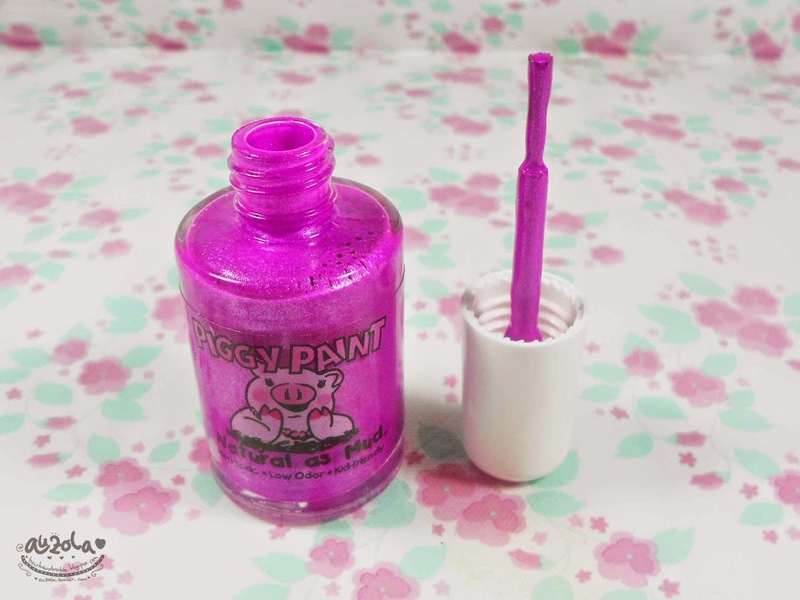 Piggy paint is the first non-toxic nail polish created by a loving mum for her 2 daughters so little girls can use nail polish safely. Made in the USA with natural non-toxic ingredient and water based. 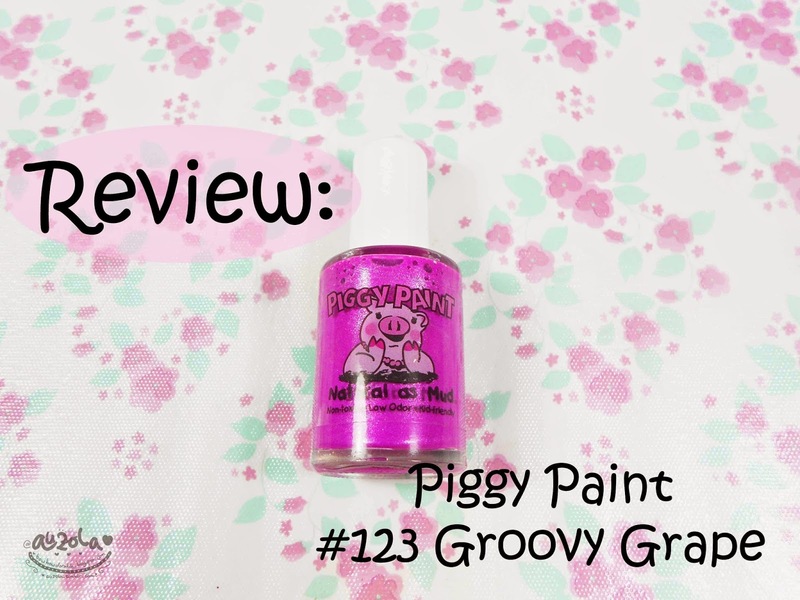 Piggy paint is non-flammable and contain no formaldehyde, toluene, phthalates, bihenyl A acetone and ethyl acetate. So it's very safe, even for little kids and pregnant women. Plus Pggy Paint is hypoallergenic and has so many range of colors! The packaging is quite simple with transparent bottle and a cute piggy paint logo in the front of it. 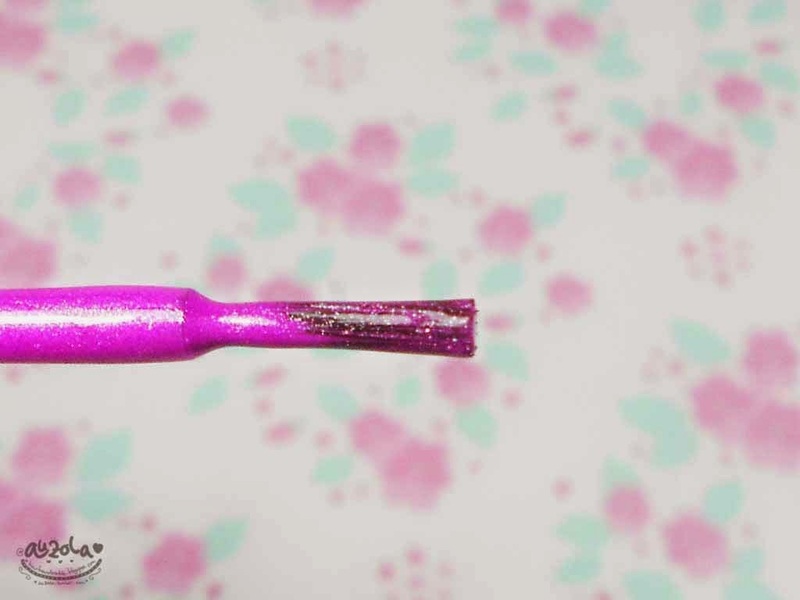 The brush is small, so it'll be easy to apply on kid's nail! Or small nails like mine hehe. The color is electric purple and looks so adorable. I applied one coat and the color is already pretty. Anyway pardon my baby nails hahhaa. In conclusion this nail polish is nice! It makes me want to do my nail over and over again because it's so east to apply and safe! Plus perfect for my small baby nails! Loving this! Go grab it for you little one, or even for yourself! See you adorable, i'm off to the bazaar!